For over 20 years, the Gifts for Kids Program has helped ease the financial burden for less fortunate families during the holiday season. This year, we have been asked to provide gifts for over 1000 children identified by human service providers in South Norfolk County (Bellingham, Canton, Dedham, Foxboro, Medfield, Millis, Norfolk, Norwood, Plainville, Sharon, Walpole, Westwood and Wrentham). As the holidays near, we are asking for your renewed support so that we may continue to bring joy to these families in our communities. You will be given information about a child along with packaging instructions. Drop off is at the VFW on Robbins Road in Walpole on December 16 and at Our Lady of Sorrows in Sharon on December 18 between 4:00 and 6:00pm. If you wish to make a cash donation, please make your check payable to Gifts for Kids and send to Gifts for Kids, Inc, PO Box 464, Sharon, MA 02067. 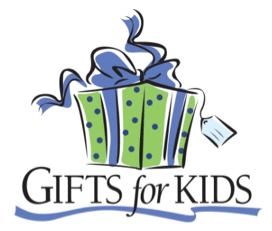 Gifts for Kids is a local, all volunteer, 501©3 nonprofit organization. Please become a GFK sponsor or volunteer, and help spread the word to family, friends and coworkers. Thank you in advance for caring.